Decorative sticker of number 0 in blue. Fantastic decal from our number wall stickers collection to decorate your child´s room and enhance their learning in a fun way! Is your child still learning numbers? Are your walls empty and dull? 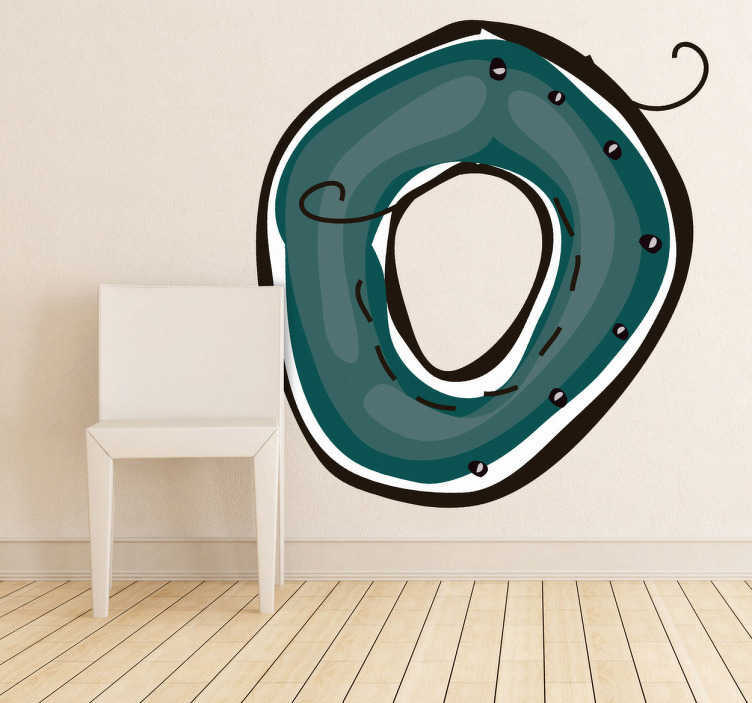 If you are looking for a creative and original wall decal for you child´s room then this is the perfect sticker for them. It will make your home look creative and it will also make the learning part fun for your child! This high quality sticker is easy to apply and remove made.